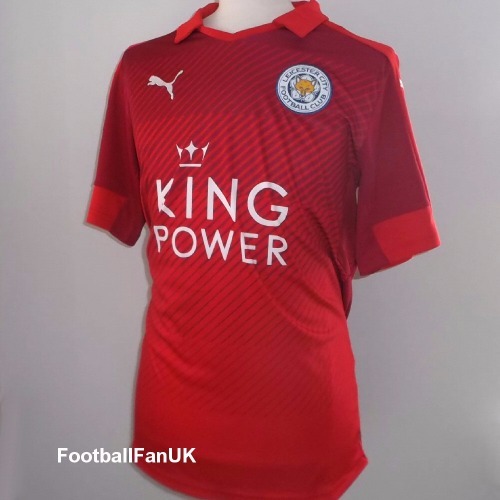 Official Puma red away shirt for the 2016-2017 season when Leiecester City were reigning Premier League Champions and competed in the Champions League. New with tags in Puma packaging. We only sell official/authentic shirts from Puma, so you can purchase with complete confidence. - Red with contrasting red pattern on front of shirt. - Puma product code K1814009R.